Endless Legend: Inferno promises to be hot stuff. Amplitude Entertainment has teased a new Endless Legend project, probably an expansion, named Endless Legend: Inferno. Posting on the studio’s creation platform Games2Gether, the tease came as community manager François Hardy announced Amplitude was departing for its 10-day summer break. 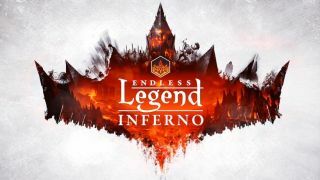 No other information about Inferno was posted, but given how Amplitude has supported Endless Legend since its launch in 2014, it’s likely that Inferno will form another expansion to the vanilla game. The most recent expansion “Tempest”, was all about water, introducing universal naval combat and aquatic races. Therefore, we’d hazard a guess that Inferno will involve demons rising from Endless Legend’s equivalent of hell, or something similar. I suppose Inferno could be a searing indictment of climate change instead, but I’d put my money on fiery hell-demons first.